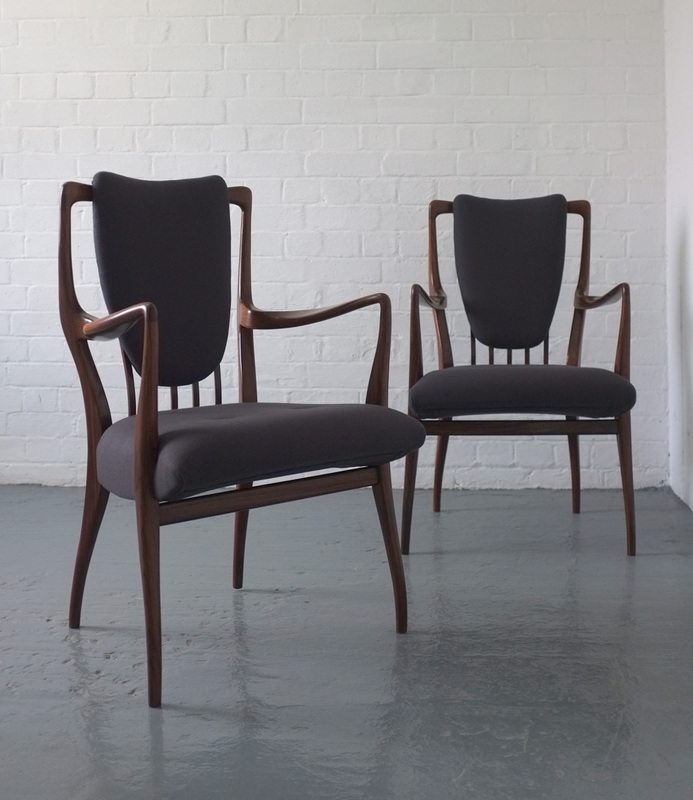 A pair of very special chairs designed by AJ Milne in 1947 for Heals. 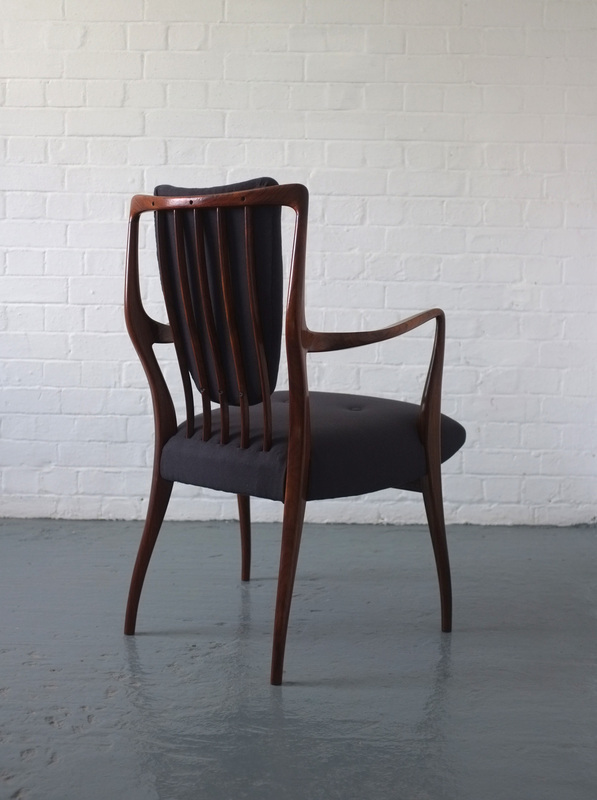 Amazingly sculptural rosewood frames with upholstered seats. 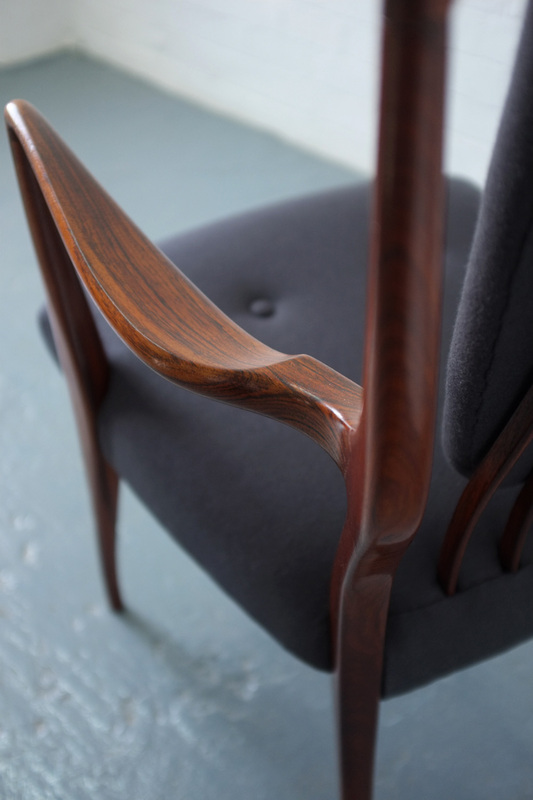 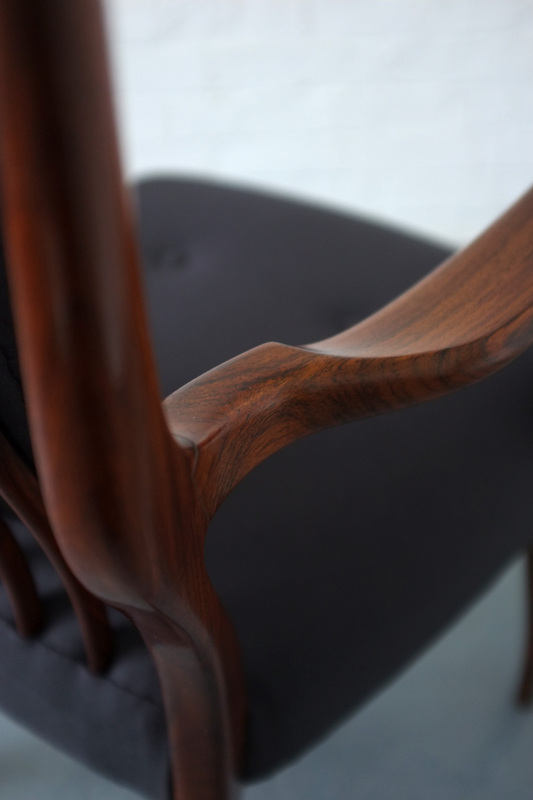 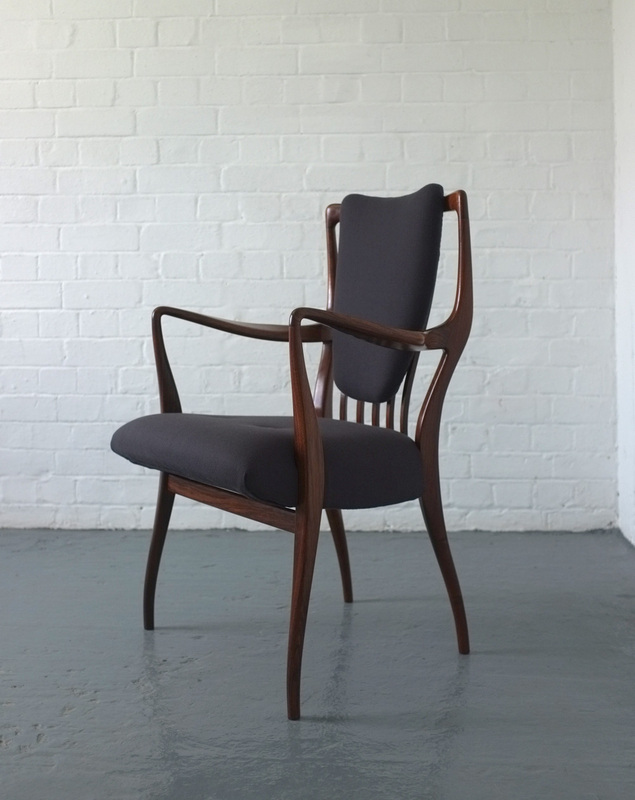 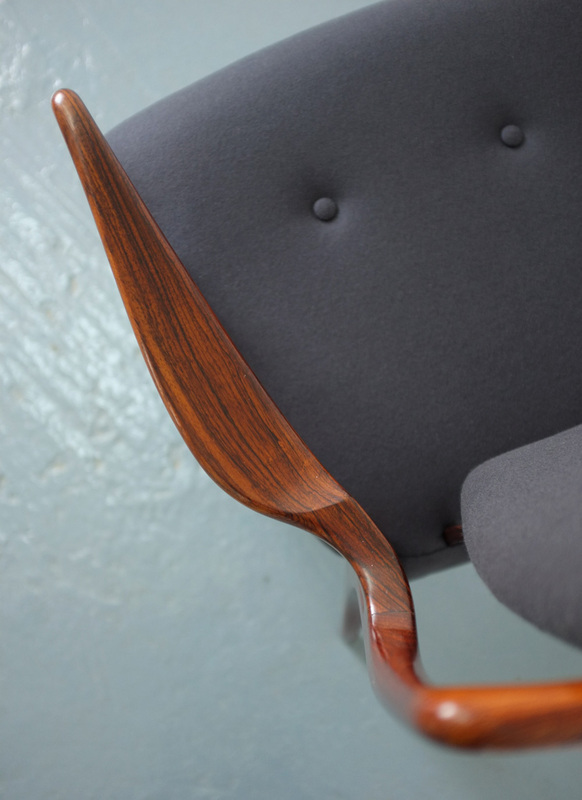 In excellent condition, the rosewood has been repolished and has a beautiful grain, the seats and backrests have been reupholstered in a grey wool fabric.